Savory Pies: Brookline Adult & Community Ed. Hearty and warming, savory pies are true comfort foods. We'll learn how to fancy-up a shepherd's pie (and discover the difference between a cottage pie and Shepherd's pie). 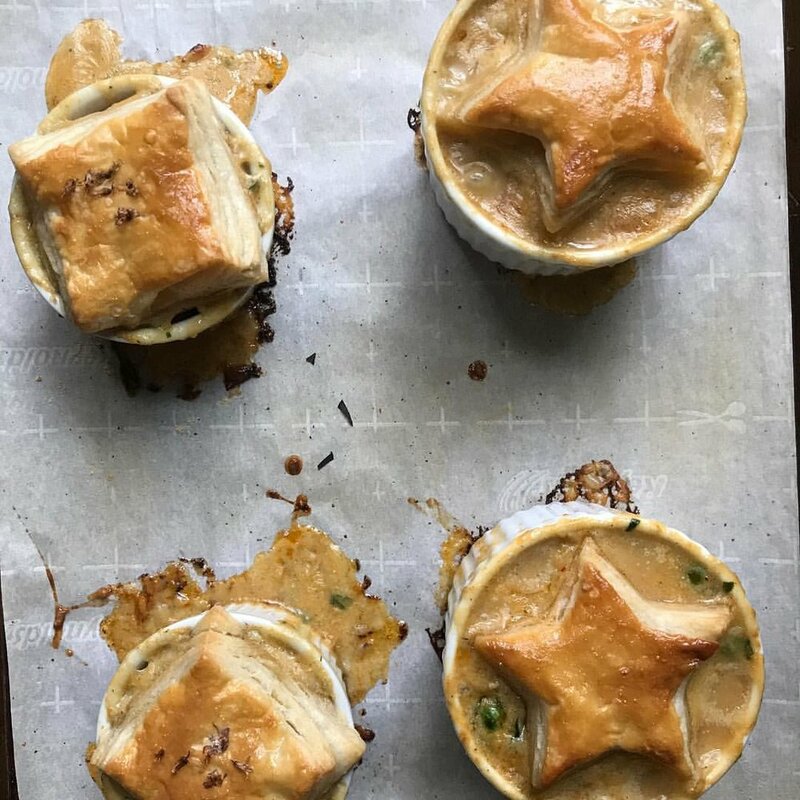 We will make chicken or vegetarian pot pies with puff pastry crowns. Then, we'll travel to South America for pastel de choclo, a ground beef pie with a sweet corn topping. Learning how to make a light, but deeply flavored gravy or sauce—the key to these heartwarming dinners and a skill you'll carry over into many other dishes.